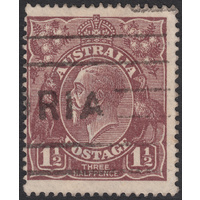 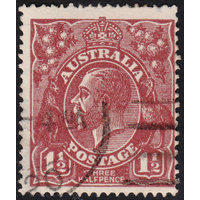 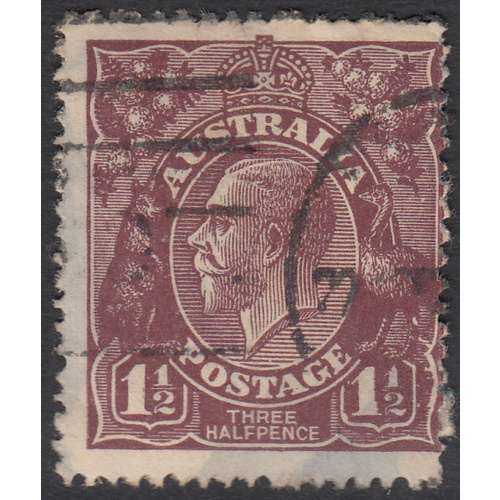 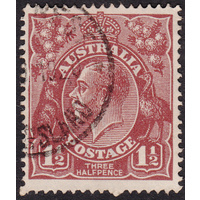 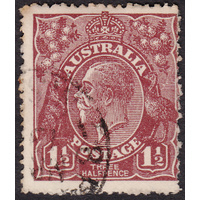 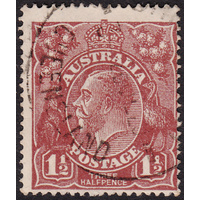 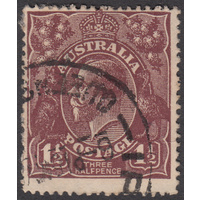 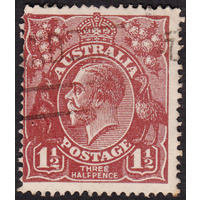 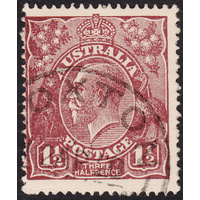 Australia KGV 1920, 1&1/2d Brown, Single Watermark, variety 7R42 (Numerous flaws extending from Emu's leg ato bottom right corner and right of Right Value Shield, etc) in Good Used condition with some light staining of the surface at bottom right. 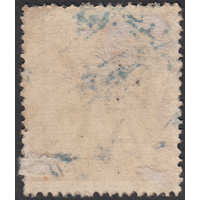 There is still paper from the envelope attached to the back of the stamp, but this will easily come off with a good soak. 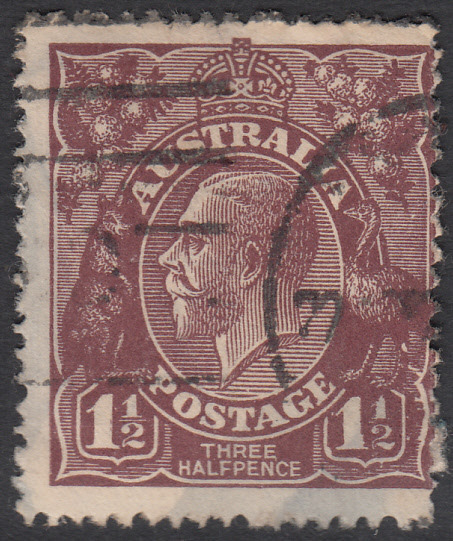 Off-center to the right like most of the examples of this cliche, with a duplex cancellation nicely clear of the variety and numerous other indicators at right. 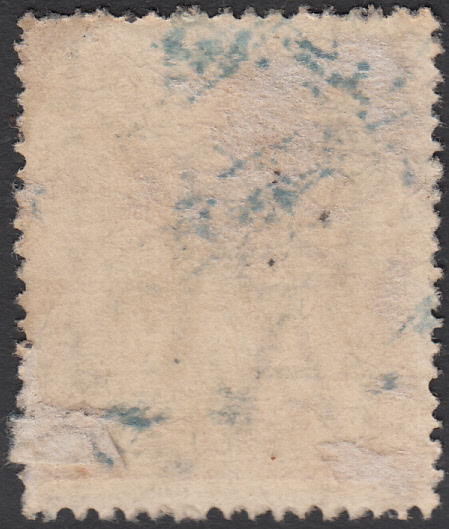 BW 85(7)k.